Former NRL SuperCoach champion Sam Rohlf. SuperCoach NRL match-ups: Run or Rest? 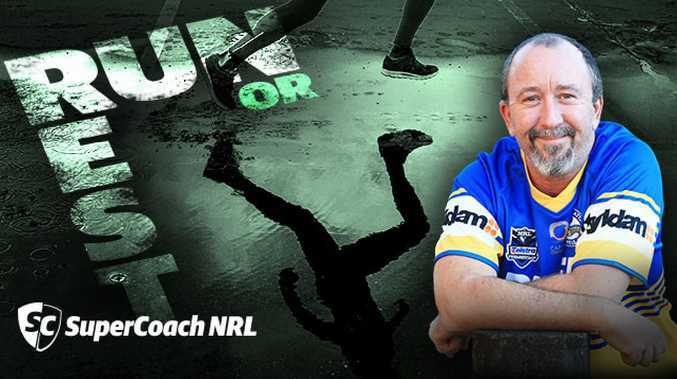 Former NRL SuperCoach Champion Sam Rohlf takes a deep dive into this week's match-ups and reveals the players to "Run or Rest". Each week I'll find players we can "Run or Rest" depending on each individual's history. Some could be highly owned guns, or some could be in the low percentage ownership. The list of players will cover both Classic and Draft in case some names are available on your waiver wire. Now I'm not suggesting that if one of your SuperCoach guns pops up here, to sit that player that week, just be aware that your gun is up against a bogey team. For the first five weeks, I will use the players' 2018 average as a starting point, and work on a five point swing either way of that average, going back as far as the 2010 season. Take into account that some players could have a new coach, club or position before deciding to "Run or Rest". James Graham: Graham has a 63PPG average from 13 games against Souths. His round 1 score of 53pts was up 11 points from his 2018 average. Triple figure scores against opponent: Ben Hunt 121pts, Tariq Sims 101pts. Gareth Widdop: Widdop has a 41PPG average from 12 games against Souths. His round 1 score of 21pts is down massively from his 59PPG average of last season. Paul Vaughan: Vaughan has played 7 games against Souths for a 43PPG average. That comes in 9pts under his 2018 52PPG average. Vaughan is coming off a nice 62pts from round 1 after playing 53 minutes. Ben Hunt: Hunt has a high score of 121pts against Souths. He has played 13 games against the Rabbitohs for a 42PPG average, which is down 9pts from his 2018 average 51pts. Tim Lafai: Lafai has played 11 games against Souths for a PPG average of 37pts. That's down 8 points on his 2018 average of 44pts. Lafai scored 26pts in round 1. Greg Inglis: Inglis has played 12 games against the Dragons since 2010 and has a 57PPG average in that time. That's 7pts up from his 2018 average of 50PPG. Inglis is coming off a low score of 17pts from round 1 for his 3% of owners. Sam Burgess: Burgess has played 11 games against the Dragons and has a 72PPG average against them. That's up 12pts from his 2018 average of 60PPG. Burgess was a try scorer in round 1 and finished with 68pts. Triple figure scores against opponent: Damien Cook 123pts, Sam Burgess 120pts, and Alex Johnston 100pts. Cody Walker: Walker has played 5 games against St George-Illawarra for an average of 51PPG. That's 10pts down from his 2018 average. Walker scored 43pts in round 1. Joseph Leilua: Leilua has played 11 games against the Melbourne Storm for a PPG average of 58pts, that's up 7pts from his 2018 average. Leilua has a top score against the Storm of 102pts. Aidan Sezer: Sezer was a surprise on the list. He has played 7 games against Melbourne for a 53PPG average. He has a top score of 125pts against the Storm. Sezer is coming off a round 1 score of 29pts for his 3% of owners. Triple Figure scores against opponent: Aidan Sezer 125pts, Joseph Leilua 102pts. All the players with a first name starting with "J" are rest candidates this week as they all score comfortably lower than their average against the Storm. Jordan Rapana (-20pts), Josh Papalii (-19pts), Josh Hodgson (-17pts), Joseph Tapine (-16pts), Jarrod Croker (-9pts) and Jack Wighton (7pts). With some big name players on this list it could be tough to sit some out. Jesse Bromwich: Bromwich has played 11 games against the Raiders for a PPG average of 59pts. That's up 14 points on his 2018 average. Bromwich scored an impressive 89pts in round 1. Will Chambers: Chambers has played 8 games against Canberra for a PPG average of 51pts. That's up 11pts on his 2018 average. Chambers has a top score against the Raiders of 112pts and scored 29pts in round 1. Cameron Smith: Smith has played 13 games against Canberra since 2010 for a PPG average of 72PPG. That's up 8pts from his 2018 average of 64PPG. Smith has a high score of 104pts against the Raiders and is coming off a round 1 score of 57pts. Dale Finucane: Finucane has played 7 games against The Raiders for a PPG average of 52pts. That's up 6pts from his 2018 average. Finucane has a high score of 100pts against Canberra and scored 51pts in round 1. Triple figure scores against opponent: Will Chambers 112pts, Cameron Smith 104pts, Cameron Munster 103pts and Dale Finucane 100pts. Josh Addo-Carr: The man known as the Fox has played 4 games against the Raiders and has only a 25PPG average, which is down 26pts from his 2018 average. Addo-Carr scored 31pts in round 1. Felise Kaufusi: Kaufusi has played 4 games against this week's opponent for a PPG average of 51pts. That's down by 9pts on his 2018 average. Felise scored 55pts in round 1. Jack Bird: Bird has played 4 games against the Cowboys for a 59PPG average. That is up massively on the injury interrupted 26pt average he had in 2018. Bird scored 43pts in round 1. James Roberts: Roberts picked up an injury in round 1 and didn't register a point for the round. Across 9 games against the Cowboys, he has averaged 59PPG, and has a best of 105pts. Matt Gillett: Gillett was good in his first game back from injury, in 15 games against the Cowboys he has averaged 61PPG, which is up 10pts from his injury affected 2018 average. Gillett has a top score of 110pts against this week's opposition. Anthony Milford: Milford has played 11 games against the Cowboys for a 64PPG average. That's up 9pts from his 2018 season average. Milford is coming off a round 1 score of 48pts. Triple figure scores against opponent: Matt Gillett 110pts, James Roberts 105pts. Matt Gillett was solid in his first game back. Corey Oates: Oates is coming off 108pt score in round 1, but in 9 games against the Cowboys he averages 33PPG. That's down 21pts on his 2018 season average. Joe Ofahengaue: Ofahengaue has a 5 game average of 38PPG against North Queensland from 5 matches played. He is playing bigger minutes in the Broncos pack this year and finished with 61pts in round 1. Hard one to leave out. Tevita Pangai: Pangai has played 4 games against the Cowboys for a 45PPG average, down 8pts on his 2018 average. He scored 56pts coming off the bench in round 1 and has been moved in to the starting team for round 2. His hamstring issues will be a constant worry for owners, so another tough choice to rest. Michael Morgan: Morgan has played 11 games against the Broncos for a PPG average of 59pts. That's up 15pts from his 2018 average, and Morgan scored 72pts in round 1. Looks a safe bet this week. Matt Scott: Scott has played 13 games against Brisbane and has a 57PPG average against them, which is 17pts above his 2018 average. He has a top score of 120pts and is coming off a round 1 score of 34pts. Jake Granville: Jake has played 8 games against the Broncos for a 56PPG average. That's 12pts better than his 2018 average. Granville had a total of 43pts in round 1. Justin O'Neill: Justin's average against the Broncos is up 7pts from his 2018 average of 36PPG. He has played 11 games against Brisbane and is coming off a round 1 score of 42pts. Triple figure score against opponent: Michael Morgan 126pts, Matt Scott 120pts. Nene Macdonald: MacDonald has played 4 games verse Brisbane and only averages 28PPG against them. That's down 20pts on his 2018 average, but Nene is coming off a nice round 1 score of 62pts. Jason Taumalolo: Lolo's numbers against Brisbane have him as a sit, but NO Chance would I be resting him if I was an owner. For the record, when he plays the Broncos, he averages 14pts down on his 2018 average of 70PPG. Jason is coming off a barnstorming round 1 score of 99pts. Jordan McLean: McLean has played 9 games against Brisbane and averages 41PPG against them. That's down 10pts from his 2018 average. McLean scored 52pts in round 1. Paul Gallen: Gallen just keeps on keeping on. From 9 games against the Titans, Gallen averages a huge 92PPG. That is a massive 34pts better than his 2018 average of 58pts. Gallen has a top score of 142pts against the Titans but is coming off a low score of 33pts in round 1 for his 2.6% ownership. Shaun Johnson: Johnston has played 14 games against the team from the glitter strip for a PPG average of 88pts. That's up an outstanding 24pts from his 2018 average. Johnson has a personal best against the Titans of 153pts, but he is coming off a low score of 26pts in round 1. Great captain option this week. 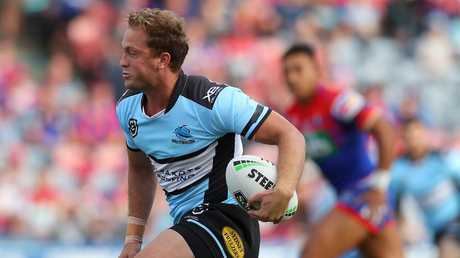 Matt Moylan: Moylan has played 8 games against the Titans for a PPG average of 64pts, which is up 12pts on his 2018 average. Matt has a high score of 113pts and is coming off a round 1 score of 52pts. Josh Morris: Morris has played 9 games against the Titans for a 49PPG average. Josh scores 7pts better than his 2018 average (42PPG) when facing the Gold Coast, and he is coming off a low score of 36pts in round 1. Triple figure scores against opponent: Shaun Johnson 153pts, Paul Gallen 142pts, Matt Moylan 113pts, Andrew Fifita 103pts. Matt Moylan has a triple figure score against this week’s opponent. Sosaia Feki: Feki has played 6 games against the Titans for an average of 31PPG. That's down 14pts against his 2018 average and Feki is coming off a very low score of 12pts from round 1. An easy sit this week if anyone has him in classic or draft. Andrew Fifita: Fifita averages 5pts less than his 2018 total average when up against the Titans. From 10 games he averages 63PPG against the Titans and is coming off a round 1 score of 63pts. I'm an owner and there is no chance I'll be resting Fifita this week or any other. No player chosen to Run On this week for the Titans and no Titans player has hit a triple figure score against the Sharks. Ryan James: James has played 8 games verse the Sharks for a PPG average of 47pts. That's down 16pts from his 2018 average of 63PPG. James only scored a very disappointing 31pts in round 1. Jarrod Wallace: Wallace averages 39pts a game when up against the Sharks from his 7 meetings against them. That's down 12pts from his 2018 average and Jarrod is coming off a 55pt effort from round 1. Tyrone Peachey: Peachey is coming off a low score of 25pts in round 1. From 5 games against the Sharks, Tyrone averages 41PPG, which is down 7pts from his 2018 average of 48PPG. Michael Gordon: Gordon has played 7 games against his old club for a 48PPG average. That's down 7pts from his 2018 average of 55PPG. Gordon is coming off a 33pt round 1 score. Anthony Don: Don's average is down 10pts from his 2018 average of 41PPG from the 7 times he has faced the Sharks. This is his first game of the year and a good one to sit him out. Shaun Kenny-Dowall: SKD has played 12 games against Penrith for a PPG average of 45pts. That's up 10pts on his 2018 average. SKD scored 37pts in round 1. Mitchell Pearce: Pearce scores 6pts better than his 2018 average (50PPG) when up against the Panthers from his 11 meetings against them. Pearce is coming off a round 1 score of 44pts. Danny Levi: Levi has played 4 games against Penrith and currently sits 6pts better than his 2018 average of 39PPG. Levi is coming off a round 1 score of 35pts. Triple figure scores against opponent: Edrick Lee 121pts. Edrick Lee: Lee has played 6 games versus Penrith for a PPG average of 32pts. This is down 17pts on his 2018 average of 49PPG. Lee is coming off a round 1 score of 38pts. David Klemmer: Klemmer averages 48PPG against the Panthers from his 9 meetings against them, which is down 15pts from his 2018 average. Klemmer scored a nice 69pts in round 1 and would be a tough one to sit out this week after playing 65 minutes in round 1. Connor Watson: Watson has played 4 games verse the Panthers for a PPG average of 45pts. That's down 12pts against his 2018 average and Watson is coming off a low first round score of 26pts. I'd sit. Tim Glasby: Glasby has played 5 games against Penrith for a PPG average of 30pts. That's down 9pts from his 2018 average of 39PPG. Glasby was a try scorer in round 1 and finished with a score of 69pts. Josh Mansour: Mansour has played 13 games against the Knights for a PPG average of 74pts. That's an impressive 25pts better than his 2018 average of 49PPG. Mansour has a high score of 109pts against the Knights. Josh is coming off a low score of 15pts in round 1. Nathan Cleary: Cleary has played 4 games against Newcastle for a PPG average of 77pts, which is up 15pts on his 2018 average. Cleary has a high score of 109pts verse the Knights, but is coming off a low first round score of 25pts. James Maloney: Maloney has played 13 games against the Knights since 2010 for a PPG average of 64pts which is up 15pts on his 2018 average. James has a high score of 140pts verse Newcastle and is coming off a 46pt game in round 1. Dallin Watene-Zelezniak: DWZ is coming off a low round 1 total of 14pts, but in 6 games against the Knights he averages 59PPG. That's up 19pts on his 2018 average. Has a high score of 99pts against the Knights. Regan Campbell-Gillard: RCG has played 5 games against Newcastle for a PPG average of 50pts, that's up 5pts on his 2018 season average. RCG scored 39pts in round 1. Triple figure scores against opponent: James Maloney 140pts, Nathan Cleary 109pts, Josh Mansour 109pts. Waqa Blake: Blake scored 39pts in round 1 but could have had more. He has played 5 games against the Knights for a 43PPG average, which is down 16pts from his breakout season average of 59pts from 2018. Curtis Sironen: Sironen has played 5 games against the Roosters for a 45PPG average. That's up 8pts on his 2018 average and Curtis is coming off a round 1 score of 64pts. One to keep an eye out for in Classic. No Manly player in this week's line up has a triple figure score against the Roosters. Martin Taupau: Big Marty has played 9 games against the Roosters for a PPG average of 50pts, that's down 15pts on his 2018 average. I'd be more worried about his round 1 score of 43pts and the 45 minutes of game time. Daly Cherry-Evans: DCE has played the Roosters in 14 games since 2010. He currently has a PPG average of 50pts against them, which is a nice score considering how stingy the Roosters' defence is. Down 12pts from his 2018 average, DCE is coming off a poor first round score of 22pts. Jake Trobjevic: Jurbo has played 6 games versus the Roosters and has a nice average against them at 63PPG. That's a great average, but it is down 8pts from his 2018 average. Will never ever be rested when in my team, but had to bring him up as he fit the criteria. Jake scored 58pts in round 1 from 76 minutes played which is something to keep an eye on. Cooper Cronk: Cronk has played 13 games against Manly since 2010 for a PPG average of 50pts. That's up 12pts from his 2018 average. Cooper has a high score of 109pts against the Sea Eagles. Daniel Tupou: Tupou is up 9pts from his 2018 average from 9 games played against Manly. Daniel scored 56pts in round 1 and has a top score of 111pts verse Manly. Triple figure scores against opponent: James Tedesco 157pts, Latrell Mitchell 129pts, Daniel Tupou 111pts, Cooper Cronk 109pts, Jake Friend 104pts. Jared Waerea-Hargraves: JWH has played 11 games against Manly for a PPG average of 41pts. That's down on his 2018 average by 6pts. JWH scored 44 pts in round 1. Aidan Tolman: Tolman has played 13 games against Parramatta and has a handy 66PPG average against them. That's up a decent 16pts from his 2018 average and Aidan is coming off a round 1 score of 58pts. Kieran Foran: Foran has played against the Eels on 12 occasions for a PPG average of 49pts. That's up 8pts on his 2018 average. Foran scored a low 21pts in round 1. If I was an owner, I would consider sitting against the Eels after the Dogs woeful round 1. Aidan Tolman (104pts) is the only one in this week's line up with a triple figure score against the Eels. Will Hopoate: Hopoate has played Parramatta 7 times and has a PPG average of 39pts. That's down 20pts on his 2018 average, but Will did score a nice 69pts in round 1 in a well beaten Bulldogs team. If I owned, I'd be playing him even if he fits the criteria for a sit. Adam Elliott: Elliott has a PPG average of 30pts against the Eels from 5 games. That's down 10pts from his 2018 average and Adam is coming off a similar like score of 33pts from round 1. Mitchell Moses: Moses has already played 10 games against the Bulldogs for a PPG average of 63pts. That's up massively on his 2018 average of 41PPG. Moses has a high score versus the Bulldogs of 114pts and is coming off a round 1 score of 69pts. Could go large against the Bulldogs this week. Clint Gutherson: Gutherson has played 5 games against Canterbury for a PPG average of 60pts. That's a nice step up from his 2018 average of 47PPG. Gutherson scored 58ts in round 1 and looked dangerous through out the game. Tepai Moeroa: Moeroa has played against Canterbury on 6 occasions for a PPG average of 55pts. That's an improvement of 8pts on his 2018 season average. Tepai scored 48pts in round 1. Has been moved to lock with the injury to Nathan Brown. Mitchell Moses is the only player to have a triple figure score against the Bulldogs in this weeks line up. Blake Ferguson: Blake has played against the Bulldogs in 11 games for a PPG average of 41pts. That's a huge 22pt drop from his break out year at the Roosters last season where he averaged 65PPG. I wouldn't be resting the best wing/centre from SuperCoach from last season against the Bulldogs. Benji Marshall: Marshall has played 10 games against the Warriors for a PPG average of 53pts. That's a nice 20pts up from his 2018 average of 33pts. Benji is coming off a round 1 score of 58pts. Luke Brooks: Brooks has come up against the Warriors 6 times for a PPG average of 40pts. That's a drop of 8pts from his 2018 average. Luke scored 44pts in round 1. Roger Tuivasa-Sheck: RTS has played in 9 games against the Tigers for a PPG average of 52pts. That just fits in to the criteria here, as that is 5pts more than his 2018 average. RTS is coming off a super 95pts in round 1. Peta Hiku: Hiku has played 4 games against the Tigers for a PPG average of 52pts. That's a 7pt jump on last season's average of 45PPG. Hiku scored nicely last week with 86pts. Solomon Kata: Kata has played in 6 games verse West Tigers for a PPG average of 53PPG. That squeezes him just in to this category, with a 6pt improvement on his 2018 average. Kata scored 2 tries last week and 96pts. No Players chosen to rest this week against the Tigers.